You may receive updates from March For Our Lives Arizona, the sponsor of this petition. 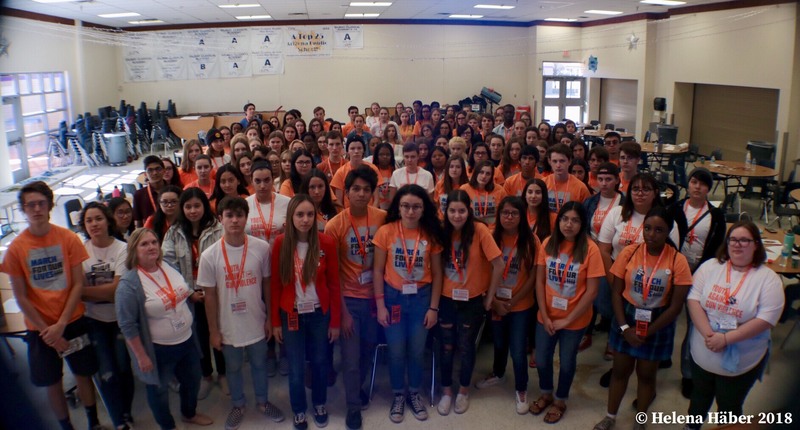 On November 3rd, over a hundred diverse students from all over the state of Arizona came together to create measures that work to prevent violence. We, the students standing against gun violence in Arizona, come together to address that this gun violence is destructive, intersectional, and preventable. In coming together to address how gun violence pervades our schools, homes and communities, we deem that institutions, leaders and policy makers across the country have an imperative to adopt comprehensive measures to prevent this unnecessary violence. Someone is shot every nine hours in our state, and this must end. 1. Require universal background checks before all gun purchases; eliminate loopholes by connecting local, state, and federal databases of prohibited purchasers; require a minimum mandatory waiting period of 10 days to purchase a firearm. 7. Ensure people who pose a heightened risk to community safety, such as domestic abusers, don’t have access to guns by allowing extreme risk protection orders where family members, law enforcement, mental health professionals, educators, intimate partners and former intimate partners can petition the court to disarm the abuser. 8. Allocate sufficient funding for mental health programs including, but not limited to, school-based safety and security initiatives; violence intervention programs; healthcare services, including counseling and mental health evaluations, to be provided by a trained racially and culturally diverse team of mental health professionals; and decrease the counselor to student ratio to 1:250. 9. Provide professional development around mental health awareness and interventions for students, parents and faculty. 10. Reduce the stigma surrounding mental health and illness by educating students and faculty on mental health; establishing support networks such as peer counseling; creating pathways for identification and intervention of at-risk youth based on mental health and Adverse Childhood Experiences (ACE) evaluations. 11. Establish a school safety committee whose meetings are open to the public at every school equally composed of students, parents and faculty who are tasked with school security measures. 12. Ensure SROs and school officers are trained in de-escalation, mental health, and counseling.